There are a couple of videos from Nokia South Africa (I think identical, just with different titles). 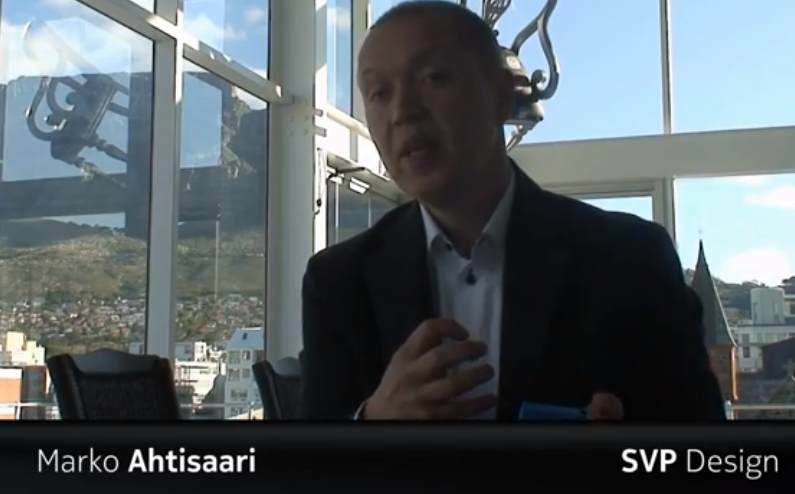 It’s Marko Ahtisaari at the launch event in South Africa, discussing the N9. Most of it we’ve heard before. An interesting bit is the question on future designs. I think what the n9 shows is how natural we can make technology feel with this very direct swipe interaction. I think you’ll be seeing MORE of that. My goal and the goal of the design team is to design products that give people their head up again. What I mean by this is that most touch screens are immersive, they require you to look at them all the time with your head down and I think we can design interfaces and products that can be easily used; you don’t have to pay full attention to them. So giving people their head up means giving more interaction off the glass as we’ve done with the speakers – you just touch something in the environment to make it work. « Nokia N9 preview, video hands on and video sample.